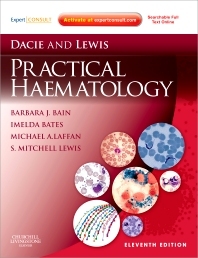 For more than 50 years the spirit of "Dacie and Lewis" has influenced the laboratory field of haematology. This new version of the classic textbook represents the 10th edition which continues to describe the many standard and novel techniques by hands-on recipes, from basic principles to perfectionism, including comments and pictures of pitfalls and critical interpretation of results. "This latest edition see a major overhaul of the design and layout, bringing a more colurful reading experience. A new, and welcome addition is the provision of online access to the full text at ExperConsult.com - which prevents shoulder strain on the commuting trainee."